The digital camera market is changing and increasingly diversifying. A few years ago, this category consisted simply of still image and video cameras only. While these cameras face stiff competition from the cameras included in mobile phones, new camera categories are being added such as action cameras and cameras mounted on drones. There’s a continuing demand for these cameras to increase their picture quality and add more smart features. The videantis technology can perform functions such as object detection, computational photography algorithms and combine these in a flexible way with video compression and decompression. Action cameras are evolving. 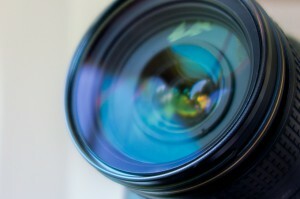 In order to shoot better pictures and movies, image quality, bit depths, and resolutions are increasing. In addition, we’re seeing new features such as 360-degree cameras, for which YouTube and AR/VR systems are already providing support. In addition, cameras are adding more image processing features like slow motion, and time lapse. Consumer drones are a quickly growing market, and most of them are being used to shoot pictures and video. Additional intelligent cameras on these drones can be used to track objects and fly autonomously. Our embedded vision acceleration provides ample image-processing performance that’s required to implement unique new features.